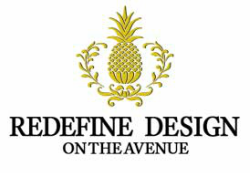 Redefine Design on the Avenue is Louisville's shopping destination for designers, decorators and gift-givers alike. ​Our 22,000 square-foot warehouse features an ever-changing inventory of new, nearly-new and handcrafted furniture; distinctive giftware & accessories; home accents; and handmade & custom silk floral arrangements. Let our on-staff designers help you find or create the object of your desires; or browse the store on your own and let your imagination run wild.